How Often Do You Change Air Filters in Your Air Conditioner System? 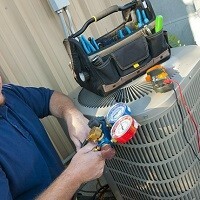 Home » FAQs » How Often Do You Change Air Filters in Your Air Conditioner System? How often you change your air conditioner’s filter depends on the type of filter you are using and environmental factors specific to your household. Typically, 1” disposable filters should be replaced every 1 to 3 months. If you have a thicker, high-efficiency filter, you should change it once every 6 to 12 months. Indoor air quality in a home becomes compromised when the filter is dirty. The filter isn’t able to trap and eliminate pollutants that come with everyday activity inside a home. Pollen, mold, smoke fumes, dust mites, and other pollutants. The higher the MERV rating, the more contaminants are filtered out of your indoor air. The ductwork in your home will become clogged with dirt and debris when the air filter is dirty. The groves inside the aluminum tubes catch anything that is sucked into the ducts and become lodged, creating a source for moisture to build up. 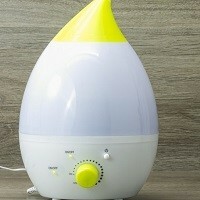 This allows mold to grow and for mold spores to circulate around your home via the ducts when your system is operating. A dirty filter won’t stop debris from gathering inside your condensate drain. When the condensate drain becomes clogged, the water can’t drain properly and will turn into water damage to your system. You will also experience increased humidity in your home when the condensate drain can’t eliminate moisture.